my pwd was filed on 18th jan , i do see best case approval as 19th jan 19 .. so i can expect the approval soon ..? Best cases are generally the 10% of total pending cases. Is “Raise SR” means supervised recruitment? No. Raise SR means Raise Service Request with USCIS. I’m waiting for the update of my pwd that was filed on jan 12th. I see that the dates in the Best case approved keeps changing. Why is is it so? I’m just concerned about the probability of my case being approved as per the dates published. The data is sourced from users when they share their case approval on various immigration forums. Our service deletes the record if it can’t verify if the case reported as approved has really been approved. my pwd was filled in oct first week 2018 didnt get any update . my lawyer says there might have been some error while he filed for pwd so he have filed a new one . my question is even if there was errors why cant he follow up on old one ?or is there any possibility for this type of situation ?? I am not sure why is he not following up on the old PWD. I have a strong feeling that they may not have even applied. They can check the old application’s copy to know whether they made any mistake or not. Right now I have two things going on – H1B extension (package sent out to USCIS) and PERM process (PWD completed). When is the employer supposed to adjust my salary since both the processes had a prevailing wage determination which is different from my current salary. PERM is for future job. Your employer is only obligated to pay you what’s mentioned as salary in H1B application. So can my employer switch my salary now or will they have to do that once i have my h1b extension approved? I don’t understand what salary switch you are talking about. Talk to your employer about your salary and its start date. I cannot say anything without any information about your salary data. My H1B max out date is 12th June 2019 but I got i-797 approval up to September 28th 2019 and even got stamped visa up to same. 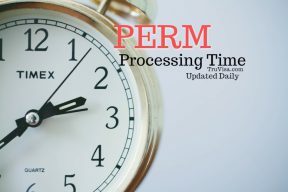 My Perm processing is in progress and expecting the result by May end. I am planning to leave US by May 31st 2019 so that I still left with 13 days for max out. So my question is that once my i-140 gets approved by June/July end,is there any problem if I travel back to US before September 28 and file h1b extension in few days (within 13 days). Your question about returning to US after i140 approval and file extension immediately is added to our forum and answered there. My perm was submitted on April 15,When should i expected approval. Please use the dates given above to estimate your PERM approval. Perm Filed on 01/04/2019. Got approval 04/15. 1. My employer just filed for my h1b extension+ change of employer. The packet got mailed out today. Typically how long does it take to get a response from USCIS? 2. Can employers advertise and file for PERM concurrently if PWD has been approved? It can take up-to 4-21 days for receipt to be mailed out. 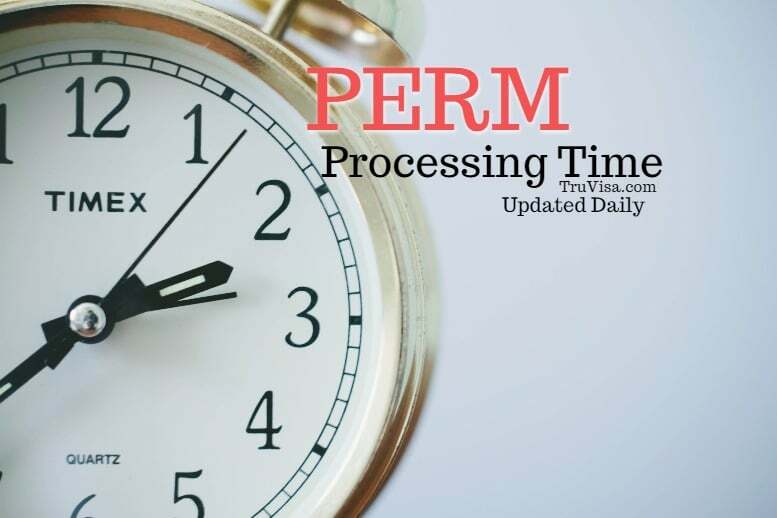 Read about complete Employment based Green card process with approximate processing time.